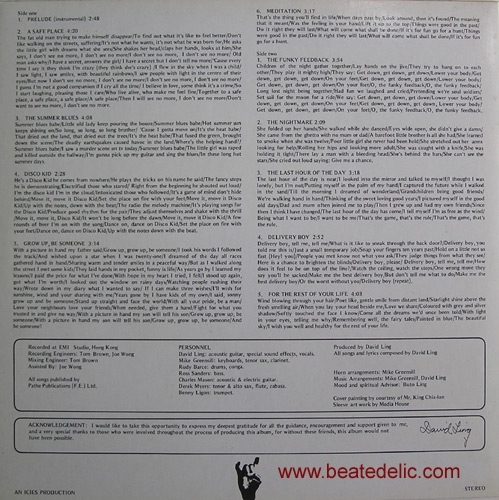 About 1975 Mike Greensill was a working arranger at EMI records in Hong Kong, doing string charts for Chinese pop records, when David Ling asked him to do an album of his own tunes. The result is a really unique set, the material ranges from Funk to Bossa Nova to Disco to Blues. The album features a host of jazz musicians, including sax player Derek Myers from the John Barry Seven and keyboardist Mike Greensill. Plenty great stuff to dig into here: "Disco Kid" with funky clavinet work, wah-wah guitar and a great David Gilmour-esque guitar solo. "Delivery Boy" hits a mid-tempo funk groove with electric piano and tasty horns. 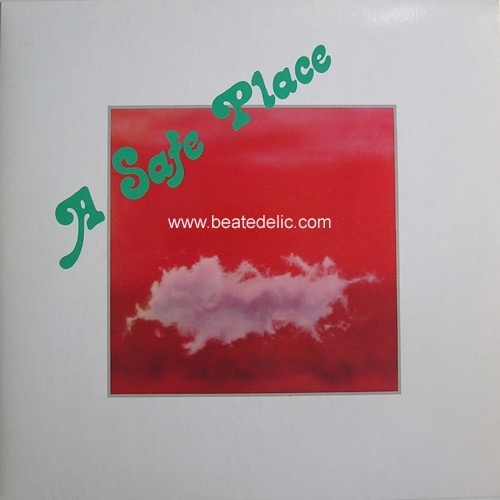 The title track "A Safe Place" is a bit more in the progressive-vein. "Prelude" and "For The Rest Of Your Life" are nice, laid-back bossa tunes. 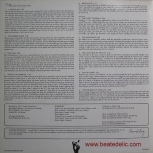 Ultra-rare private label album, great source for samples and loops, very hard to find!